I’ll admit it: I’m a Nate Silver fanboy. That fandom is rooted in my political junky-ism and dates back to the first iteration of fivethirtyeight.com back in 2008. Since then, Silver joined the New York Times, so fivethirtyeight.com migrated to be part of that media behemoth, and, more recently, Silver left the New York Times for ESPN — another media behemoth. This bouncing around has been driven by Silver’s passion for various places where data is abundant and underutilized: starting with online poker, then baseball analytics, and then a sharp turn to political polling (the original fivethirtyeight.com), which then went even more deeply into politics (the Times iteration of fivethirtyeight.com), which then went broadly into data across many subjects (his book), and which then stayed fairly broad…but with a return to some heavier sports (with the ESPN iteration of fivethirtyeight.com). These are both key to his success, but they’re also key to any analyst’s ability to deliver value within their organizations. These questions are often driven by current events and, clearly, would be of interest to a sufficiently large number of potential readers. I’ll claim that it does, but I’ll admit it’s a somewhat meta argument. The dream for most analysts is to find something that gets widely shared internally, because the work reveals something that is surprising and actionable. It’s sooooo easy to lose sight day-in and day-out of the need to be tackling questions that will be most likely to lead to dissemination and action. fivethirtyeight.com — any media site, really — has to focus on content that will be “popular” (in some definition of the word). As an analyst, shouldn’t we constantly be going beyond reacting to the questions that fall in our lap and seeking out meaningful questions to answer? For me, every time I read an article on fivethirtyeight.com and think, “Aw, man! That author is so lucky to have gotten to dig into that!” I try to remind myself that I do have some control over what I dig into with most of my clients, and I should constantly be seeking questions that would have broad and actionable appeal (and pushing them to identify those questions themselves). This second aspect of the content on fivethirtyeight.com is more tangible and directly applicable. It’s not that every article nails it, but most of the articles include visualized data, and most of those visualizations are very well thought through — neither picking a “standard” visualization, nor getting fancy for fanciness’s sake. I’m a casual college football fan, at best, but it’s been interesting to watch Silver struggle with predicting who would be in the first “final four” with the change to the championship system that went into place this year. One of his approaches was to run simulations based on what clues he could find about how the selection committee would act, combined with predictions for the results of as-yet-unplayed games. This resulted in a chart like the one below. Are you not a “sportsball” (<– Michele Kiss hat tip) fan? Let’s look at an example from politics! 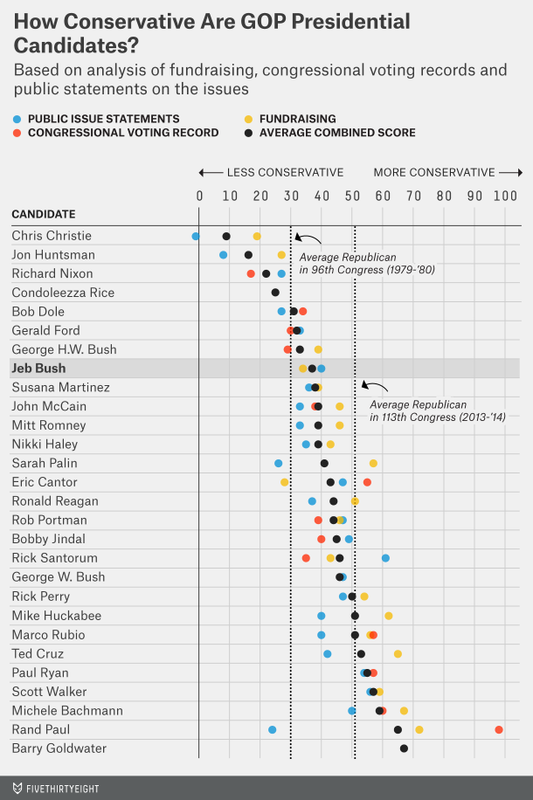 When Jeb Bush took an offical pre-pre-pre-pre-“I’m running for U.S. President” step, Silver asked the question: “Is Jeb Bush Too Liberal To Win the Republican Nomination in 2016?” To tackle this, he pulled third party data from three different sources that all used different techniques to quantify where various political figures fall on the liberal-conservative spectrum. The result? Another exceedingly well-presented visualization! 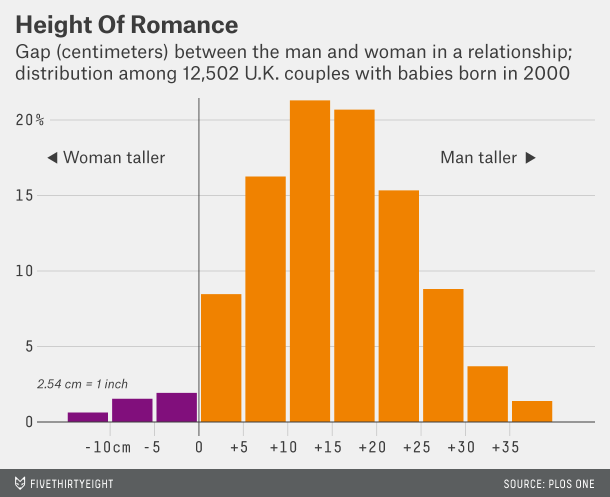 I absolutely love the level of care that fivethirtyeight.com puts into their visualizations. They clearly have a well-defined style guide when it comes to the palette, fonts, and font size. But, as with any good style guide, those constraints enable a high level of creativity to then determine what the truly best way to visualize the information is. 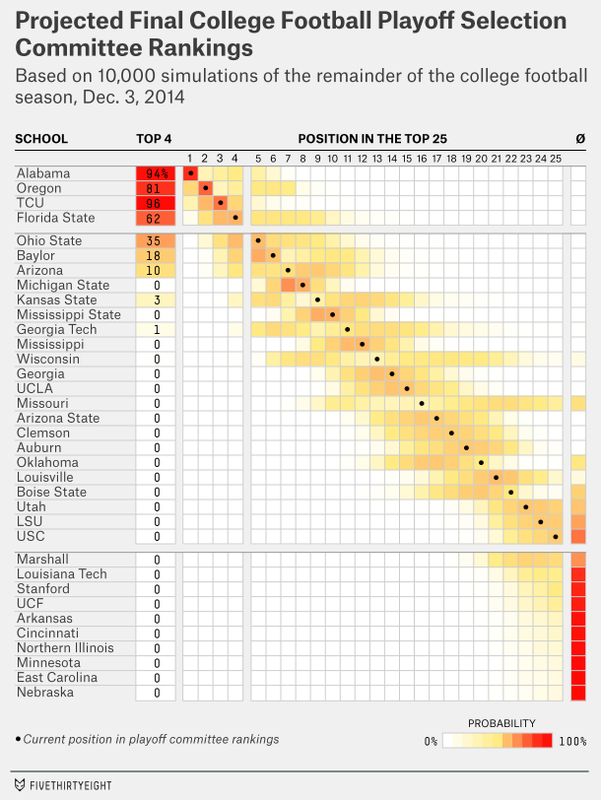 fivethirtyeight.com is my newest most favorite site. As I opened with, much of the underlying content is actually on topics I care about, but I’m going to justify my on-going consumption of that content by claiming that it is also a source of inspiration and motivation for improving my work as an analyst!